the pickup truck storage “an attraction for theft.” Id. significant reduction in the carrying capacity” of the bed. area, and along the length of the bed.” Id. col. 1 ll. 45–50. reads on the accused product or method.” Georgia-Pac. Corp. v. U.S. Gypsum Co., 195 F.3d 1322, 1330 (Fed. Cir. Inc., ___ U.S. ___, 135 S. Ct. 831, 841 (2015) (italics omitted). not by light bulbs, but by four giant arc light towers. The date was March 31, 1880. Brush had previously lit up Cleveland's Monumental Park on April 29, 1879. Edison's '898 patent issued on Jan 27, 1880. [Edison] could never get over being embarrassed when some new medal came his way. But one of his greatest honors was yet to come. On Oct. 20, 1928, he was awarded the Congressional Medal of Honor - the nation's highest award in recognition of services rendered. [Edison] developed a process for making synthetic carbolic acid, coal-tar products necessary for the manufacture of explosives, and many safety devices. He also served as head of the Navy Consulting Board. After the war Edison was awarded the Congressional Medal of Honor. 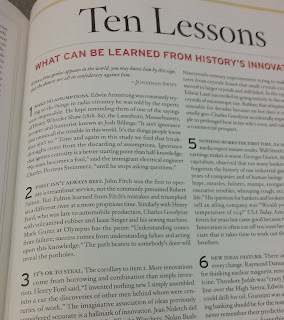 and Linda J. Barth, "A History of Inventing in New Jersey"
**From "Inventing in New Jersey"
Famous bad predictions. Noyce to Kildall: "the future is in digital watches, not in computer games." The quote is taken from page 406 of the book by Harold Evans, They Made America Great. Little Brown, 2004. The chapter on Kildall gives us another example of someone who functioned as a sole inventor (albeit with some help from collaborators, such as Jack Torode ). microprocessors could be used to build...small personal computers." judgment mentions ISE as the appellee. In the caption for the case [ 2015-1743, 2015-1744 ], ISE is the appellant. decision in Chicago Bd. Options Exch., Inc. v. Int’l Secs. the claims were invalid under 102 or 103. HOWEVER, the claims were invalid under 101. CHICAGO BOARD OPTIONS EXCHANGE loses. inter partes review proceedings. See Purdue Pharma L.P.
(P.T.A.B. July 8, 2015) (“Purdue I”); Purdue Pharma L.P.
(P.T.A.B. July 8, 2015) (“Purdue II”); Purdue Pharma L.P.
as obvious over the cited prior art, we affirm. 4150833, at *15; Purdue III, 2015 WL 4150834, at *16.
problem with a recitation of the challenged claims. to support the finding. Consol. Edison Co. v.
NLRB, 305 U.S. 197, 229 (1938). came directly from Shell, not from the challenged claims. is inapt for obviousness purposes.”). the fashion claimed by the patent at issue,” id. at 418.
the prior art teachings in the way of the claimed invention. Pharm., Inc., 773 F.3d 1186, 1193 (Fed. Cir. 2014). Of "problem to be solved"
prior art relevant to obviousness.”). IPBiz notes that quoting from the Bible (without attribution) was done by Abraham Lincoln in the "House Divided" speech. "Grace. Hi. Did you find out? Well, maybe it's a deferred admittance. (Whispers): College. Did you check the Web site? No, that's the thing. Mr. Ecklund, my guidance counselor, he called their admissions office. Mom, the admissions office thinks that I plagiarized my essay." Oh, my God. Genuine Thought is a database with millions of essays. It helps schools identify possible plagiarism. Mr. Ecklund, have you read Grace's essay? I have. So then you know that this is intensely personal. Do you seriously think that other essays in that database contain the same family history? Mrs. Florrick, many students write about the challenges they've overcome. And while the specific facts may be unique, the lessons that applicants say they've learned from them aren't. I didn't plagiarize. Mr. Ecklund, could you tell us exactly what Grace is being accused of plagiarizing? I can't say. We-we weren't given that information. All right, Genuine Thought... it's big business in the fight against student plagiarism. The software designers have acknowledged they're having problems with false positives, which is why the company has settled a few lawsuits last year. Wait, false positives how? It might tag a section as plagiarism when, in fact, it's just a phrase in common usage. For example, in one paper they flagged, "there's not enough money to go around," or "according to conventional wisdom" as plagiarized, when in fact they're just sort of clichés. Unoriginal, but not plagiarized. So, what do I do? Well, you need to find out what they're saying is plagiarized. They won't tell me... they say it breaks policy. They don't want more lawsuits. Okay. What is my daughter accused of plagiarizing? Unfortunately, it is our college policy to not reveal the details of these decisions. You're worried about a lawsuit? We're worried about confidentiality. I'm a lawyer, ma'am. If there's anyone you should be worried about, it's a lawyer. And if there's anyone you should worry about not intimidating, it's a college admissions director. Well, good. I think that settles the matter. Why don't we... So here's the thing, Okay. we submitted my Grace's essay independently, to Genuine Thought, to find out what they considered plagiarism, and do you know what they flagged? "Do not take an oath by your head, for you cannot make one hair white or black." Again, I can not tell you. It's from the Sermon on the Mount. You're accusing my daughter of plagiarizing the Sermon on the... Mount. I can not confirm or deny. Do you seriously want to be sued for denying my daughter admittance because you can't tell the difference between the Sermon on the Mount within or without quotes? It was very nice meeting you, ma'am. Well, I think we should leave it at that. In context, this is a "last" example given by Jesus about oaths. The gist: The more evil a person is, the less the person will be bound by oaths; if a person is good, there is no need for them. that ground, thus no IPR was instituted on that ground. first phase, the PTO determines whether to institute IPR. and issues a final decision.” (citations omitted)). of the statute, mandamus is not warranted. Thus, we deny Shaw’s petition for writ of mandamus. sued B/E Aerospace (“B/E”), alleging infringement of U.S.
States District Court for the Central District of California. on all patents, from which MAG timely appeals. 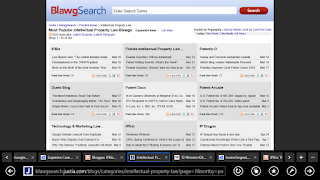 “toollessly” replaceable limitation of the ’054 patent. bowl is attached to its frame with two screw fasteners. favor applying the doctrine to company B.
them to MAG. The district court concluded that Mr.
estoppel from arguing that the patents-in-suit are invalid. of U.S. Patent No. 3,691,482 (“Pinnow”), U.S.
Patent No. 3,819,974 (“Stevenson”), and U.S. Patent No. work, not the work of the inventors of the ’175 patent. Cree faults the Board for discounting that evidence. still had the requisite nexus to the claimed invention. We agree with the Board’s treatment of this evidence. step after the development of the Nakamura LED. the ’175 patent to require a finding of non-obviousness. disputed claims of the ’175 patent. court for Delaware are affirmed. publication—the “Orange Book.” See 21 U.S.C. infringed by Mylan’s marketing of its proposed drug. paragraph IV certification constitutes an act of infringement. The precipitating "event" was a hack of social security numbers of folks related to the University of Central Florida ["UCF"]. Then, Knight News made a request to determine "how much" a digital forensics firm was being paid to investigate. The response was that that information was a trade secret. "The fact that Mr. Edison invented the incandescent lamp in the form in which it is now presented by all electric light companies was so widely proclaimed by the publication thereof in every class of literature at the time of the invention, that it would seem very like an insult to the intelligence of the community to recall it. Indeed, a retrospective view of the history of the great invention is rendered unnecessary by the fact that even the infringing companies themselves do not dwell upon their claim to the ownership of original patents, but fortify their position by the assertion that Edison's patents are invalid and open to the public, and offer in corroboration of their statement the apparent apathy of the Edison Company in the matter of defending them." Heretofore the glass globes used to inclose the carbons of incandescent lamps have been made either of a spherical shape or in the form, when viewed in section, of an ellipse elongated at the ends. widest portion of the globe is from A to A, and the form of the globe above these points is a half-sphere, except when it is broken by the projection a, which is occasioned by the breaking olf of the stem of glass remaining after blowing the globe. Below the points A A the diameter of the globe becomes smaller until at the points B B. When it is set into the socket it is less than one-halfthe diameter A A. It will be seen that the globe is thus approximately pear-shaped. What I claim is- The design for incandescent electric lamps herein described and shown. Edison's key light bulb patent (223,898) was filed Nov. 4, 1879, a few weeks before the filing of the design patent. "The big new relist this week is Samsung Electronics Co. v. Apple, 15-777, which we're guessing is being closely watched by the IP crowd." That's a verys safe guess. Not sure this can even be described as a guess. "The petition has a higher than usual chance for success." Lea Shaver's article in 69 Wash & Lee L. Rev. 1891 was not her first commentary on Edison and the light bulb. Contrary to popular wisdom, however, Edison’s team was merely one of dozens that co-invented electric light bulb. Scientifically speaking, his team’s discoveries were neither the first, nor the most important. What Edison did better than all the other inventors took place not in the laboratory, but in the law office. It was at this point, in 1879, that Edison filed for his first patent on “an improvement in Electric Lamps and in the method of manufacturing the same.” The improvement Edison claimed was the use of a certain type of filament inside the bulb. Edison then leveraged his monopoly on bulbs to corner the market in electricity service as well. Over a century later, General Electric is the longest-running member of the Dow Jones industrial average. For example, Thomas Swan had light bulb patents of his own, the first predating Edison’s by 19 years. He had even been granted a patent in England claiming the same discovery Edison’s team claimed to have made. But he was unable to retain the legal upper hand. Even though it was never legally established that Swan’s bulbs infringed on Edison’s patents, the shadow of IP law made it too risky for Swan to continue competing. The two companies merged. In the process, competition in the light bulb market – and therefore the race to roll out improvements and cut prices – was severely curtailed. And a half century would pass before ordinary Americans could afford electric lights. In theory, patents promote innovation by providing greater incentives to invention. But it can also work the other way, by erecting legal barriers to follow-on innovation. The requested URL /lawreview/ was not found on this server. although the final link [http://papers.ssrn.com/sol3/papers.cfm?abstract_id=1354788 ] does yield a result. Footnote 8 of 69 Wash & Lee L. Rev. 1891 does reference Lea Shaver, The Right to Science and Culture, 2010 Wisc. L. Rev. 121, 122-28 for the proposition: Of course, patent protection can also be challenged on ethical grounds, including notions of human rights. By 1897, General Electric was the undisputed leader, and Westinghouse was its only serious rival. n152 The two companies agreed to a truce in the form of patent cross-licensing and product pricing agreements. n153 Smaller competitors were invited to join [*1931] the Incandescent Lamp Manufacturers Association, organized by General Electric. These members agreed to divide up the markets and avoid price competition. n154 The result was that G.E. sold half of the bulbs in the U.S. market, and the smaller companies divided the other half. n155 These smaller companies, dependent on G.E. patent licenses for their existence, put no downward pressure on prices and were discouraged from contributing their full potential to next-generation innovation. n156 In Bright's words: "They gave only the appearance of competition." 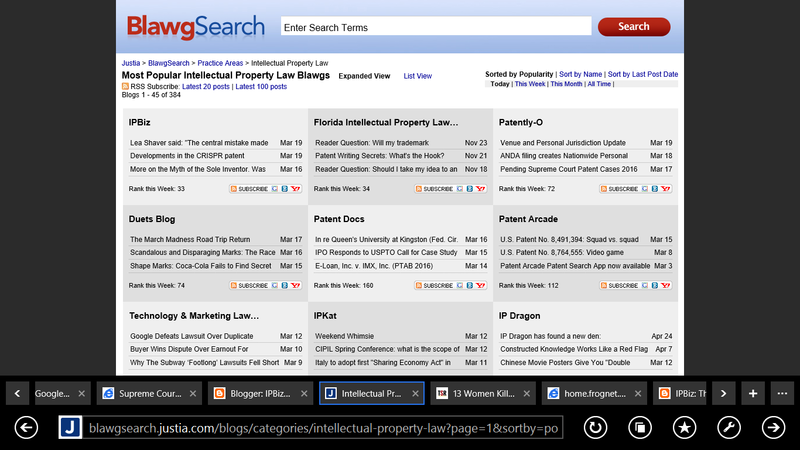 n157 Through incorporation, patent litigation, licensing deals, and eventually purchases of stock, by 1910, G.E. controlled 97% of the market. n158 Only then could Edison finally rest, his empire secure. 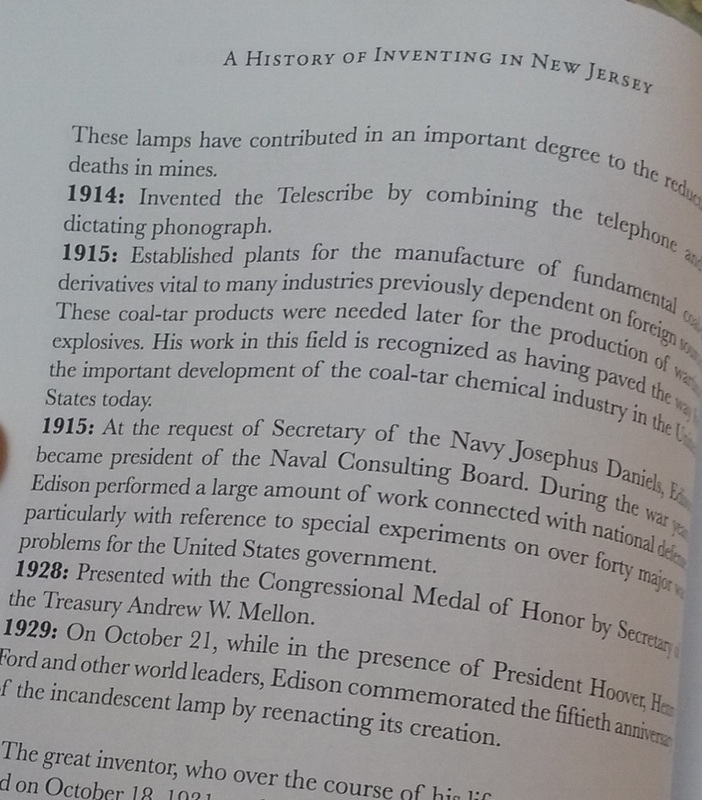 In 1910, Edison had no light bulb empire. n81 See Charles Bazerman, The Languages of Edison's Light 247 (1999) ("[I]n the 15 years before Edison was granted his first patent for incandescent light, 31 patents had already been granted in that area . . . ." (citing Robert E. Conot, A Streak of Luck 214 (1979))). n88 See generally Bazerman, supra note 81, at 247-49 (describing Edison's practice of resolving conflicting patent claims over the incandescent light by combining forces with the businesses holding competing patents, but noting that this was not successful universally, and the Sawyer Man competition was particularly vexing). n89 See id. at 248-57 (detailing the patent interference proceedings and later litigation between the Edison and Sawyer-Man teams). 1. An incandescing conductor for an electric lamp, of carbonized fibrous or textile material and of an arch or horseshoe shape, substantially as hereinbefore set forth. 2. The combination, substantially as hereinbefore set forth, of an electric circuit and an incandescing conductor of carbonized fibrous material, included in and forming part of said circuit, and atransparent hermetically-sealed chamber in which the conductor is inclosed. 3. The incandescing conductor for an electric lamp, formed of carbonized paper, substantially as described. 4. An incandescin electric lamp consisting of the following elements in combination first, an illuminating-chamber made whollyof glass hermetically sealed. and out of which all carbon'consuming gas has been exhausted or driven; second, an electric-circuit conductor passing through the glass wall of said chamber and hermetically sealed therein, as described; third, an illuminating conductor in said circuit, and forming part thereof within said chamber, consisting of carbon made from a fibrous or textile material, having the form of an arch or loop, substantially as described, for the purpose specified. In testimony whereof we have hereunto subscribed our names this 8th day of January, 1880. Note this was filed AFTER Edison's application leading to 223,898. Note also that interferences are about PRIORITY not about validity, as we see in the recent order in the CRISPR case and as was evident in the case of the Sawyer-Man patent at issue in the 1880-1890 time period. Sawyer and Man's narrowest claim in their patent was to an "incandescing conductor for an electric lamp, formed of carbonized paper." n46 [U.S. Patent No. 317,676 claim 3 (filed Jan. 9, 1880). ] Later, the Supreme Court would recognize that the paper claim was likely valid. n47 However, that claim would have been commercially worthless - few, if any, commercially successful lamps used a carbonized paper incandescent conductor. 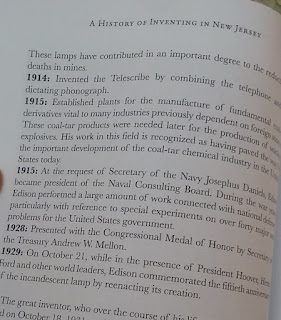 n48 To capture Edison's commercially successful lamp within the scope of their claims, Sawyer and Man had to rely on their broader claim to an "incandescing conductor for an electric lamp, of carbonized fibrous or textile material and of an arch or horseshoe shape." n49 If Sawyer and Man's broader claim was valid, they could control the entire electrical lighting industry - approximately twenty-four million bulbs per year. n50 At the time, there were no successful alternatives [*1551] to carbonized fibrous material incandescent conductors. n51 The outcome of the case, then, would effectively determine who controlled the electric lighting industry in the United States. This case was the culmination of fifteen years of litigation between Edison and Westinghouse. n57 At the U.S. Patent Office, Edison attempted to claim that he had invented a lamp using fibrous vegetable material - the very thing that he later argued it was not proper to patent in Incandescent Lamp. Once litigation began, Edison attempted to delay Sawyer and Man's patent for as long as possible. n58 As will be explained later, this delay strengthened Edison's case at the Supreme Court. Note also footnote 68, confirming that NOT all claims were invalidated [ The Court seemed to accept only the claim to carbonized paper as valid. See id. ] Edison did not infringe this claim because he did not use carbonized paper; that is why the loss of the interference was not significant. With an effective vacuum pump available, several inventors soon produced working lamps. In August 1881, four of them—Thomas Edison and Hiram Maxim from the United States and Joseph Swan and St. George Lane Fox-Pitt from England—displayed their bulbs in Paris at the International Exposition of Electricity, which was attended by almost a million people. The lamps differed mainly in the choice of the material that was charred in a furnace to create the carbon filament. 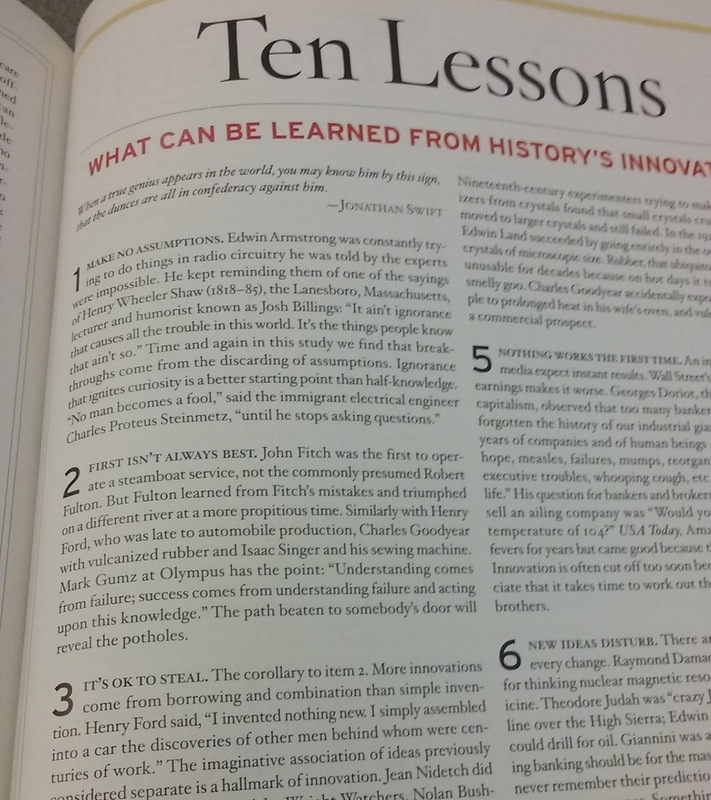 Edison began with bamboo fiber, Swan with cotton, Maxim with paper, and Fox-Pitt with grass. The Exposition Jury measured the efficiency of the various lamps, expressing that efficiency as candlepower—the light generated by a typical wax candle—per horsepower required to produce it. Edison's lamps ranked as the most efficient, giving 196 candlepower of light per horsepower applied to the generator. Maxim's gave 151, and the other two scored in between. The jury didn't consider how long each lamp lasted, and at that time it wasn't generally appreciated that the life of a filament lamp and its efficiency are interchangeable. Before it could flourish, electric lighting had to defeat an entrenched competitor in many towns—gas. In the mid- and late 19th century, gaslight simply meant a bare gas flame, so the electric lamp, which produced no smoke, was a clear winner. But the gas industry didn't give up easily; it developed the gas mantle during the 1880s, then greatly improved it in the 1890s. This fine mesh, made mainly of thorium oxide, became incandescent when heated by a gas flame smaller than what had been used in previous generations of gas lamps. This technology also allowed the industry to change the composition of its gas so that the flames produced more heat and less light—and less smoke. The gas mantle turned out to be a cheaper source of light than the carbon filament lamp. Score round one to gas. Starting around 1899, electricity answered the gas mantle with the metal filament, which could be operated at a hotter temperature, and therefore more efficiently, than a carbon filament. In early tungsten lamps, the filaments sat in near vacuums, but it turned out that a little nitrogen or argon reduced the evaporation of the metal and prolonged the filament's life. The problem was that the gas also cooled the filament, making the lamp less efficient. In 1959, General Electric (U.S.) refined the filament lamp one more time. Its researchers sealed a tungsten filament into a compact bulb containing an inert gas and a small amount of a halogen, usually iodine or bromine. In a halogen bulb, the halogen gas combines with the minute particles of tungsten that evaporate from the filament, which in ordinary incandescent lamps are deposited mostly on the inner surface of the bulb and over time gradually dim the light output. The tungsten halide that forms moves around as a gas and then, when it nears the hot filament, breaks down, redepositing the tungsten back onto the filament and releasing the halogen to repeat the process. Mo Rocca hosted "CBS Sunday Morning" on March 20, while Charles Osgood recovers from knee surgery. Jim Axelrod on artist Norman Lewis. The headlines were Obama in Cuba. Freginals, Spain. 737 crash in Russia. Earth Home. March Madness. Bald eagles in DC zoo. Weather: snow in northeast. this material because the outcast would care less about being accepted by the establishment. stories. A good story would get at least 1 million views. The Hogan story got 8 million views. There was a video of Denton with Clarence Washington. Denton will be turning 50.
did not address points of law on libel. Almanac was on March 20, 1981, the day Jean Harris was sentenced for the March 10, 1980 murder. Academy of Fine Arts. Lewis was born in 1909. Painting titled "Yellow Hat." Former basketball player Darrell Walker was interviewed as a collector of Lewis. Rita Braver did a piece on Steve Martin and Edie Brickell (married to Paul Simon). Mo Rocca did a piece on the CBS production studio, wherein "Sunday Morning" has been made for 37 years. Conor Knighton did a piece on Everglades National Park, created in 1947.
what if it was your son or daughter? He spoke of a divide. March 23 will be peak time for cherry blossoms in Washington DC. Mo Rocca talked about Osgood, Geist, and a webchat by Knighton. The moment of nature by BI was on the Yellowstone "ice out." To see the distinction, note what the CAFC set out in the 2014 case of Alcon v. Barr: It is well settled that an invention may be patented before it is actually reduced to practice. Pfaff v. Wells Elecs., Inc., 525 U.S. 55, 61, 119 S. Ct. 304, 142 L. Ed. 2d 261 (1998). Similarly, a patentee is not required to provide actual working examples; we have rejected enablement challenges based on the theory that there can be no guarantee that prophetic examples actually work, as "[t]he burden is on one challenging validity [p. 1190] to show by clear and convincing evidence that the prophetic examples together with other parts of the specification are not enabling." Atlas Powder Co. v. E.I. du Pont de Nemours & Co., 750 F.2d 1569, 1577 (Fed. Cir. 1984). "[T]he hallmark of written description is disclosure." Ariad, 598 F.3d at 1351. The standard for satisfying the written description requirement is whether the disclosure "allow[s] one skilled in the art to visualize or recognize the identity of the subject matter purportedly described." Enzo Biochem, Inc. v. Gen-Probe Inc., 323 F.3d 956, 968 (Fed. Cir. 2002). There is no requirement that the disclosure contain "either examples or an actual reduction to practice"; rather, the critical inquiry is whether the patentee has provided a description that "in a definite way identifies the claimed invention" in sufficient detail that a person of ordinary skill would understand [p. 1191] that the inventor was in possession of it at the time of filing. Ariad, 598 F.3d at 1350, 1352; Koito Mfg. Co. v. Turn-Key-Tech., LLC, 381 F.3d 1142, 1154 (Fed. Cir. 2004). That assessment [p. 1016] "requires an objective inquiry into the four corners of the specification." Ariad, 598 F.3d at 1351. Azure cannot have it both ways. If the term "MAC address" is properly construed to refer only to addresses assigned to peripheral devices by a hub device, then the accused products do not infringe. If, on the other hand, the [***1831] term is broadly and unreasonably expanded to cover addresses assigned at the time of manufacture, then the asserted claims are invalid. See MagSil, 687 F.3d at 1381 ("[A] patentee chooses broad claim language at the peril of losing any claim that cannot be enabled across its full scope of coverage. "); Liebel—Flarsheim Co. v. Medrad, Inc., 481 F.3d 1371, 1380 (Fed. Cir. 2007) ("The irony of this situation is that [the patentee] successfully pressed to have its claims include a jacketless system, but, having won that battle, it then had to show that such a claim was fully enabled, a challenge it could not meet."). A patent's specification must describe the invention and "the manner and process of making and using it, in such full, clear, concise, and exact terms as to enable any person skilled in the art to which it pertains . . . to make and use the same." 35 U.S.C. § 112(a). "To be enabling, the specification of a patent must teach those skilled in the art how to make and use the full scope of the claimed invention without undue experimentation." MagSil Corp. v. Hitachi Global Storage Techs., Inc., 687 F.3d 1377, 1380 (Fed. Cir. 2012) (internal quotation marks omitted). Enablement is a question [p. 1661] of law that we review without deference, based on underlying factual inquiries that we review for clear error after a bench trial. Cephalon, Inc. v. Watson Pharms., Inc., 707 F.3d 1330, 1336 (Fed. Cir. 2013). By choosing such broad claim language, Convolve put itself "at the peril of losing any claim that cannot be enabled across its full scope of coverage." Magsil Corp. v. Hitachi Global Storage, Techs., Inc., 687 F.3d 1377, 1381 (Fed. Cir. 2012). Dr. Singer's testimony that his later advancement allowed him to figure out why the '635 patent method was not working for disk drives is a strong indication that the patent was not enabling when it was filed. Indeed, HN16Go to this Headnote in the case. "[t]he enablement doctrine's prevention of over broad claims ensures that the patent system preserves necessary incentives for follow-on or improvement inventions." Id. at 1384. Here, the inventor himself concedes that he was unable to fully [**58] implement the claimed method in disk drives for nine (9) years after the filing date. As such, we affirm the district [*932] court's finding of invalidity regarding claims 1-4 and 7 of the '635 patent. Claims are not enabled when, at the effective filing date of the patent, one of ordinary skill in the art could not practice their full scope without undue experimentation. MagSil Corp. v. Hitachi Global Storage Techs., Inc., 687 F.3d 1377, 1380-81 (Fed. Cir. 2012). Enablement is a question of law based on underlying facts. Id. In light of those disclosures, the district court's nonenablement ruling was premised on testimony that many "variables" including the number of prostaglandins and the range of PECOs encompassed by the claims, as well as "[v]arious parameters including pH, buffer, buffer concentration, preservatives, chelating agents, and other excipients may affect the chemical stability of prostaglandins in ophthalmic formulations." Alcon, 837 F. Supp. 2d at 382-83 (emphasis added). Indeed, Barr's expert observed that "when 'you have a lot of variables on top of one another, the experimentation gets out of control quickly.'" Id. at 383 (citing J.A. 6009). But such an unsubstantiated conclusory statement is not sufficient. Cephalon, Inc. v. Watson Pharms.., 707 F.3d 1330, 1339 (Fed. Cir. 2013). Barr adduced no evidence at trial that changing any of the "variables" or "[v]arious parameters" identified by the district court would render Alcon's claimed invention inoperable, nor was there any evidence that experimenting with those variables was required for an ordinarily skilled artisan to be capable of increasing the chemical [**20] stability of a prostaglandin by adding PECO. Adjusting variables may be relevant to optimizing the stability of a given prostaglandin composition, [***1015] but Barr proffered no evidence that any experimentation, let alone undue experimentation, with those variables would be necessary in order to practice the claimed invention. Without that evidence, there is no foundation for the district court's nonenablement ruling. Furthermore, HN8Go to this Headnote in the case.a patent does not need to guarantee that the invention works for a claim to be enabled. It is well settled that an invention may be patented before it is actually reduced to practice. Pfaff v. Wells Elecs., Inc., 525 U.S. 55, 61, 119 S. Ct. 304, 142 L. Ed. 2d 261 (1998). Similarly, a patentee is not required to provide actual working examples; we have rejected enablement challenges based on the theory that there can be no guarantee that prophetic examples actually work, as "[t]he burden is on one challenging validity [p. 1190] to show by clear and convincing evidence that the prophetic examples together with other parts of the specification are not enabling." Atlas Powder Co. v. E.I. du Pont de Nemours & Co., 750 F.2d 1569, 1577 (Fed. Cir. 1984). Nor is it "a requirement of patentability that an inventor correctly set forth, or even know, how or why the invention works." Newman v. Quigg, 877 F.2d 1575, 1581-82 (Fed. Cir. 1989) (citing Diamond Rubber Co. v. Consol. Rubber Tire Co., 220 U.S. 428, 435-36, 31 S. Ct. 444, 55 L. Ed. 527, 1911 Dec. Comm'r Pat. 538 (1911)). Thus, it is likewise irrelevant here, as a legal matter, whether the '287 and '062 patents contain data proving that PECOs enhance the chemical stability of prostaglandins. Accordingly, because Barr did not show that any claimed embodiments would be inoperable and that a person of ordinary skill in the art would have been unable to practice the asserted claims without resorting to any experimentation, let alone undue experimentation, we conclude that the district court erred as a matter of law in holding that Barr proved its invalidity case based on nonenablement by clear and convincing evidence. Barr had the burden of proof to show that Alcon's patents lacked enabling disclosures, but failed to carry that burden. We therefore reverse the district court's judgment that claim 12 of the '287 patent and claim 19 of the '062 patent are invalid for lack of enablement. We agree with Alcon that the specifications provide an adequate written description of the claimed invention. "[T]he hallmark of written description is disclosure." Ariad, 598 F.3d at 1351. The standard for satisfying the written description requirement is whether the disclosure "allow[s] one skilled in the art to visualize or recognize the identity of the subject matter purportedly described." Enzo Biochem, Inc. v. Gen-Probe Inc., 323 F.3d 956, 968 (Fed. Cir. 2002). There is no requirement that the disclosure contain "either examples or an actual reduction to practice"; rather, the critical inquiry is whether the patentee has provided a description that "in a definite way identifies the claimed invention" in sufficient detail that a person of ordinary skill would understand [p. 1191] that the inventor was in possession of it at the time of filing. Ariad, 598 F.3d at 1350, 1352; Koito Mfg. Co. v. Turn-Key-Tech., LLC, 381 F.3d 1142, 1154 (Fed. Cir. 2004). That assessment [p. 1016] "requires an objective inquiry into the four corners of the specification." Ariad, 598 F.3d at 1351. The '287 patent details the claimed invention and provides a step-by-step description of how a person of ordinary skill in the art may use it. It discloses the "unexpected discover[y] that the use of . . . polyethoxylated castor oils in [pharmaceutical] compositions," especially those "topically applied to the eye," "enhances the chemical stability of prostaglandins." '287 patent col. 1 ll. 46-51; col. 6 l. 16-col. 7 l. 25. It provides exemplary formulations that embody the claimed invention, reciting concentrations of every ingredient. Id. col. 7 ll. 26-46. It also discloses data generated by the inventor from accelerated stability testing showing the effect of PECO and prostaglandin concentration on stability and comparing the effect of PECO to that of a more commonly used surfactant, polysorbate 80. Id. figs. 2 & 3, col. 1 ll. 59-62, col. 8 ll. 32-39. The patent also describes various classes of prostaglandins to which the invention was understood to relate, which are covered by the term "prostaglandin" under the district court's construction of that term, as well as preferred concentrations and thirty-two specifically preferred examples of those prostaglandins. Id. col. 2 l. 23-col. [**25] 6 l. 15. It describes various types of PECOs that may be used in the invention, again with preferred types and concentrations. Id. col. 2 ll. 7-21. And the patent describes the various formulation parameters, including osmolality and pH, that may be selected when practicing the invention. Id. col. 7 ll. 8-14. Cuozzo at the Supreme Court; what are the correct numbers for IPRs? Oral arguments for Cuozzo at the Supreme Court are set for April 25, 2016. Applegate, in a recent blog post, points to Cuozzo’s opening petition to the Supreme Court, which notes that IPRs filed since the AIA’s effective date have yielded an “unexpectedly high” rate of patent claim cancellation. Of the more than 3,400 IPR petitions filed since the AIA’s inception, as of Oct. 6, 2015, nearly 85 percent have resulted in cancellation of some or all the claims under review. their furniture designs. Halo is located in Hong Kong. fraud and deceptive business practices statutes. Koster, 330 U.S. at 527.
speculation as to what the Canadian courts would do. law the Federal Court of Canada would apply is its own. court abused its discretion in concluding otherwise.